Scribble and scrawl a section of our gigantic monster, projected high up above the crowds, before it rots away before your very eyes. 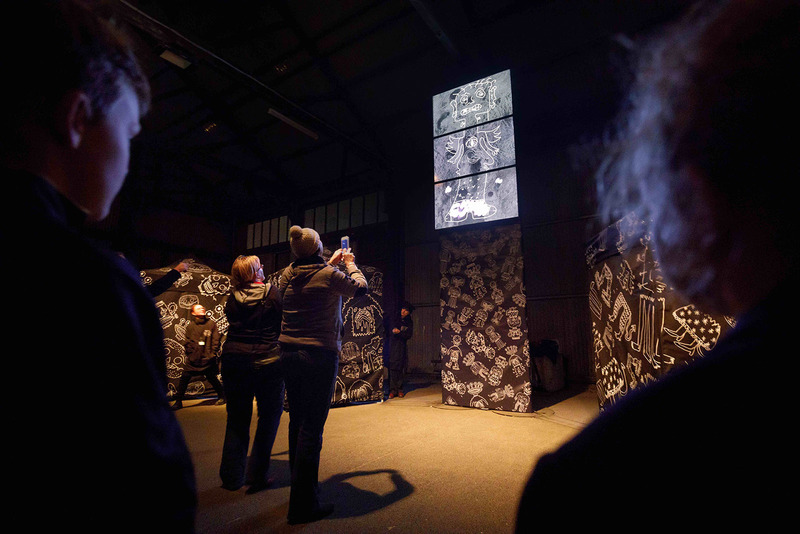 Infinite Monster is an interactive installation based on the surrealist drawing game “Exquisite Corpse”. In our version, participants are invited to collectively create an ever-changing monster displayed on a gigantic tower of LCD Screens. In its original form, the Exquisite Corpse game involved participants drawing part of a character on a piece of paper, then folding the paper over so the next player cannot see what was drawn. The next player then draws another part of a character, and so on and so on. At the end of the game, the paper is unfolded, revealing a collectively created monster. The game started in about 1925 and was played by Surrealists Yves Tanguy, Marcel Duchamp and Joan Miro among others. It is still a popular drawing game played by children all over the world. In Infinite Monster, four tents are set up in a public space in a semi circle around a giant tower of LCD screens. 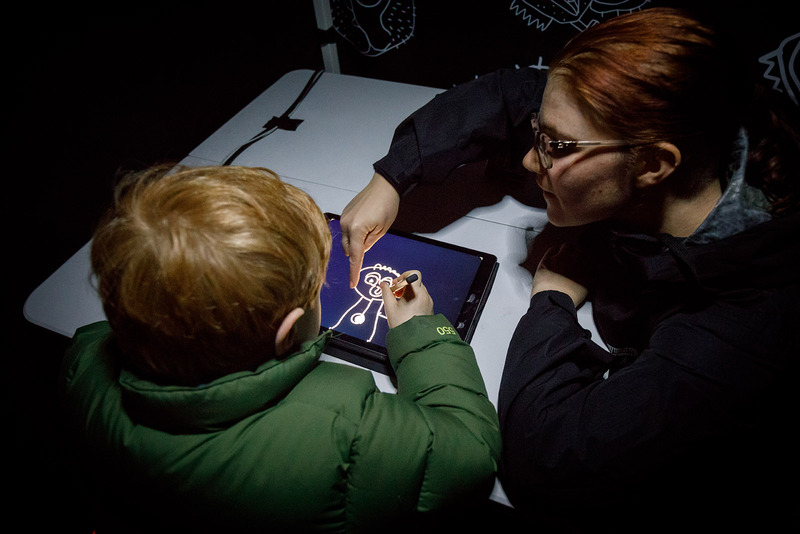 In the tent, a participant draws part of a character, for example a Viking’s head or a mermaid’s tail, on an iPad. As the character is drawn, we see it appear in real time on the appropriate LCD screen in the tower, so the feet of the character to the bottom screen, the legs to the second bottom and so on. As the drawings emerge, images of the ground (leaf litter, dead grass, asphalt), flash on the screens in quick succession. When the drawings are complete, the participants step out of their tent and see their collective creation projected high above them. The monster then fades away; the screens ready for the next creation to emerge. You can also play online using the participants’ drawings which are instantly uploaded onto the website www.infinitemonster.net.